Mercedes-Benz is all set to bid farewell to the G-Class with the 2017 Mercedes-AMG G65 Final Edition. The Mercedes-AMG G65 Final Edition will be the last time a Mercedes-Benz G-Class is produced. Mercedes-AMG will sell a limited run of 65 G65 Final Edition SUVs worldwide. The Geländewagen (G-Wagen) moniker in its various forms began production in 1979 and has enjoyed the longest production run of any Mercedes-Benz vehicle. 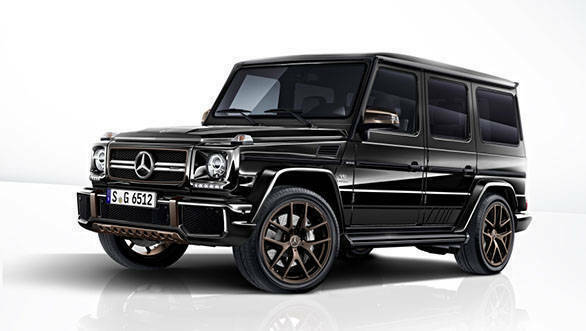 The Mercedes-Benz G65 Final Edition features a black and bronze theme, with bronze accents on the underride guard, bumpers, 21-inch five twin-spoke wheels. The black grille also gets a bronze surround, and the running boards, as well as exhaust tips, are matte black. The G65 Final Edition comes powered by a twin-turbo V12 which makes 630PS / 1001Nm. The G 65 Final Edition has been priced at 3,10,233 Euros (approx Rs 2.38 crore) in Germany. The V12 can propel this nearly 3-tonne truck to 100kmph in 5.3 seconds and a limited top speed of 230kmph. The Mercedes-AMG G65 Final Edition is capable of wading through two feet of water with approach and departure angles of 27 degrees as well as a tilt angle of 21 degrees. It makes sense that Mercedes-Benz would send off the G-Wagen with an AMG version as nearly one-third of all G-Class vehicles sold over the years have been from the company's performance arm. Fret not, G-Class lovers, for Mercedes-Benz is set to replace this icon with a more modern, larger version soon. 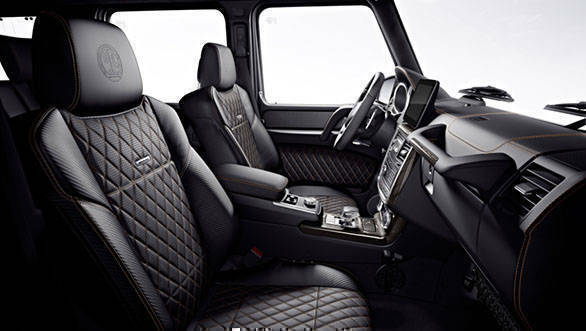 Earlier this year, Mercedes-Benz had auctioned the last ever G650 Landaulet built.